Laura Bell Bundy has longed for a place already gone; she’s ached and “shaked”; and now, she is giving fans another piece of her on her new album, available tomorrow (June 9th). Aside from her three albums (each of which is more spectacular than the one before), Laura has spent ample time on Broadway (Hairspray, Wicked, Legally Blonde: The Musical); in film (The Adventures of Huck Finn, Life with Mikey, Jumanji); and on television (Guiding Light, How I Met Your Mother, Hart of Dixie, Anger Management). Needless to say, this particular artist is an incredibly talented individual, but even more so, she’s an amazingly humble and wonderful person. While most would think Laura segued from acting into country music, the order of events is actually quite the opposite. From the time Laura was fourteen, she was writing songs with her sights set on becoming a country music recording artist, even having a band with her good friend Amber Rhodes for several years. Double-dipping in areas of entertainment while she was starring on Broadway, Laura and Amber would perform shows at CBGB, The Bitter End, and other venues, always staying true to her southern roots. Just before her run as Elle Woods in Legally Blonde: The Musical, Laura independently recorded and released a solo album, Longing for a Place Already Gone. On her days off from the show, Laura would perform gigs and absolutely loved the feeling she got from sharing her own music with a country audience. I was like, “you know, I love writing music, I love country music, I’ve never really given this a shot, like a real shot in Nashville, and this is a dream I have and if I want to make it happen, I need to do it.” And, so I decided about six months before I left “Legally Blonde” that I was going to move to Nashville in six months and I was going to begin to put the pieces together. So, I began to go to Nashville once a month from January 2008 to July 2008 when I left the show, and I would meet people, and I got a manager from Nashville, and by the time I left “Legally Blonde” in 2008, I had a record deal. Bringing her acting skills to the music industry has created a special sound for Laura, allowing her to embrace the character she is portraying and the story she is telling in a way that is incredibly unique. From an outside point-of-view, there is an insurmountable level of passion and emotion incorporated into Laura’s delivery of her songs, but the humble artist merely sees it as using her heart to turn lyrics from words into something more meaningful. The person singing is the one bringing life and emotion to the lyric. It’s just a series of words without the person singing it, and it has to be filtered through their heart. If it’s not filtered through their heart, and their mind, and their passion, it doesn’t mean anything to the person receiving it on the other end. So, if I don’t feel and understand everything it is I’m singing about, and I’m not truthfully conveying that in the recording, it’s never going to touch anybody else. One thing Laura hopes to convey with her music is her ever-evolving state of being; something she thinks all artists experience. With several years between her last album (Achin’ and Shakin’) and her new release (Another Piece of Me), Laura believes her personal and professional growth will be evident on the record. Of particular note are Laura’s own production capabilities and her ability to translate her feelings into lyrics. In fact, honing her skills over the years assisted in trimming her catalog of songs she wrote for this record from sixty to seven. The inevitable task of limiting her songs to those which were most appropriate for this specific project led to an extremely eclectic album that mirrors Laura’s colorful personality. To compile the perfect tracks and the right sounds, Laura enlisted the help of producer Nathan Chapman and label mate and member of Rascal Flatts, Jay DeMarcus. As far as the tracks on the album that Laura classifies as her own favorites, she lists three quite different songs: the mid-tempo, sassy, and comical “Let’s Pretend We’re Married;” the slow and sentimental “China and Wine;” and the upbeat finale, filled with twangs and “strangs,” “Wait Until the Sun Goes Down.” Another cut on the album that Laura is especially fond of is “I Am What I Am,” an inspirational tune that encourages listeners to love themselves first and foremost. “I Am What I Am” already has a music video and is a contender for the next radio single. In regard to releasing a single to radio and the current buzz that surrounds the country music genre, Laura’s approach to handling the female struggles and staying positive is rather simple. I don’t like to focus on the things I don’t have. I like to focus on what I do have. And, so, I don’t want to look at it like it’s a struggle. If we fight in that way, we don’t really win. To focus on the negative about something, as opposed to looking at the positive, I don’t want to put my focus there and be like “we’re struggling! We’re struggling as a female community!” No, as a female community we are reaching people, and we may not be able to do that through the radio, but we have an amazing opportunity to do that through the Internet and through live performances. Let’s focus on what we do have. It’s a shame to me that there are attitudes from the gatekeepers of country music that believe that their ratings are better when they play men. That belief is a disappointing and unfortunate one, but it doesn’t mean it’s true. It’s a belief. And you look at the women in country music and the impact they are making, not only on the genre, but the people that they’re playing for; Miranda and Carrie and Taylor and Maddie & Tae, you know? There’s room for more, but they’re making a massive impact. The females over time in country music have become legendary compared to the amount of men in the industry who become legendary. You know what I’m saying? They become iconic. You can have someone as a male get a Number 1, but they won’t sell out like the female that gets a Number 1. The female that gets the Number 1 is gonna have a much more, much bigger impact than the male that gets the Number 1 because more males are likely to get Number 1s. So, it’s kinda like if you look at it like that, I just hope that all of us females are supportive of each other. 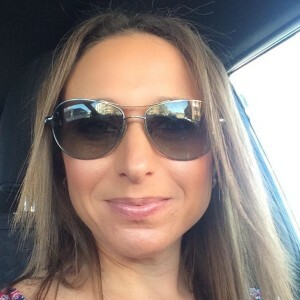 Laura is a proponent of taking action, rather than just sitting back and talking about a problem, so she shared an idea with me that would ensure the constant flow of female country music. And because I know Laura’s personality and have followed her career over the last eight years, nothing about the idea surprised me. I said to someone today that I think we should start our own radio station and we should call it “The C__ of Country” *laughs*. And just like say “the hell with it!” I want to listen to women because I understand the subject matter of women. I like the way women’s voices sounds, and I’ve always been that way. At that point we exchanged a few “trade secrets” that could lead to a fun collaboration in the near future. Stay tuned for details on this project! As you can likely tell from this interview, prior articles, her music, and her other projects, Laura Bell Bundy could make the sun shine on the dreariest of days. During this year’s CMA Fest, she will bring her vibrancy to Nashville through an autograph signing, Belk Park Stage performance, and an after-hours unofficial album release party. For those attending, the party sounds like an absolute blast and like something you wouldn’t want to miss! Well, it’s gonna be crazy. It’s at a gay bar. It’s at Play and it’s gonna be a little bit different than my normal live shows. Like, I have a live show during CMA Fest downtown on Friday at like four. This is on Saturday night and it can be considered an after-party to LP Field, and I go on at midnight, and it’s gonna be kinda wild, and rocking, and fun. There’s gonna be like tracks and mash-ups of country songs, and pop and hip hop songs too, and I’m gonna be doing some songs off the album and some fun and interesting covers, and I might even sing some funny stuff. It’s gonna be a party! If you can’t make it to CMA Fest, your chance to see Laura live still may be sooner than later. She has summer plans to tour Italy and will return for some United States dates. Keep watching Laura’s website for updated appearances, because she will be making up for some lost road time from when she was filming her television shows Anger Management and Hart of Dixie. In closing, Laura is excited to have her new music released and is eager for fans to get their hands on a record that is so much a part of who she is, while also being something they can identify with and feel like is a part of them. This is a colorful album that represents different aspects in a person’s life and the journey we go on to self-discovery. 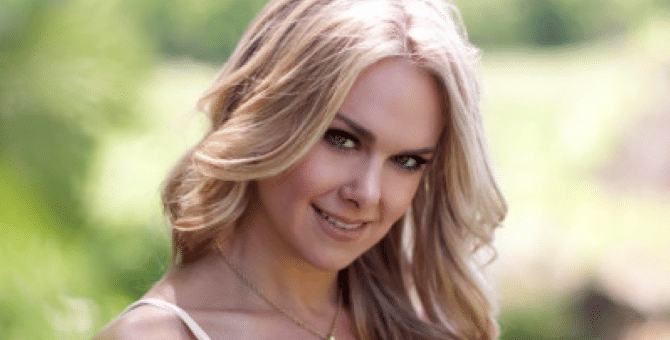 If you want to learn more about Laura Bell Bundy, you can find her fit squarely within the fifteen tracks on Another Piece of Me; however, this multi-layered, diverse, spunky ball of talent is all of what she relays on her record and so much more. It was a dream come true to be able to spend some time speaking with this artist I have adored since her Broadway days, and hearing her new album and the distinguished sound she is introducing into the genre as it currently stands excites me for the future of country music. Thank you, Laura, for an entertaining, hilarious, and memorable interview. Here’s to more projects together moving forward! Follow Laura Bell Bundy on her Twitter, Facebook, and website.